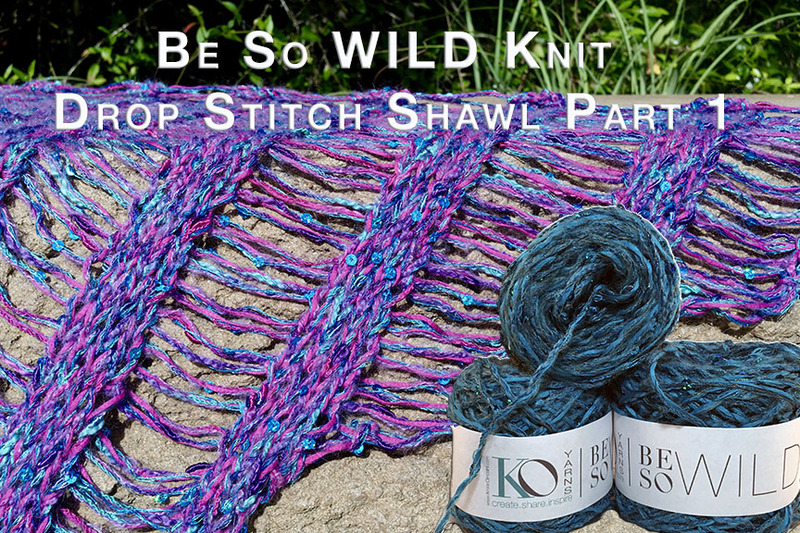 I am SO excited to introduce you to my newest yarn: Be So WILD! This is a special project for me because I am making one-of-a-kind yarns in small batches. These will never be full production yarns because they are handmade by me. Each "Batch" is something I will design and create based on a creative whim in my mind. They are made in small batches, and once they are gone, they are GONE! I find inspiration from something, somewhere, somehow, and then I choose several yarns to combine and wrap the whole thing together with a silk thread. Each yarn becomes a super bulky weight, and knits and crochets at about 2 stitches per inch. Sparkle and texture will always be the main focus of this yarn. Expect to find sequins and or beads in every batch. For this first collection (Batches #1, 2 and 3) I was deeply inspired by an iridescent aqua sequin yarn that I knew I would love. I combined it with a variety of textures and colors for each of the batches. Then I got to work on patterns and OMG was this FUN!!! The first eBook of knit and crochet patterns for Be So WILD will be out very soon, and then I will also be hosting series of Knitalong and Crochetalong videos for each pattern on my YouTube Channel to help you make them yourself. The tunisian lace scarf is crocheted with only 1 ball. The drop stitch shawlette is knit with only 2 balls of yarn. The knit and crochet shrugs are 2+ ball projects, depending on size, and the beautiful tank top is knit with 4+ balls, depending on size. These yarns are FUN. They make quick projects for instant gratification. And the finished garments are GORGEOUS accessories to complement your wardrobe.